This comes with three sets of plates: the waffle, which makes two large and thick waffles; the panini, which allows for panini up to 25cm long; and the toastie maker, which makes two deep-fill toasted sandwiches. After heating, the waffles took a while to cook – almost 20 minutes – but were cooked evenly and looked pretty professional, as did the panini and the toasties, which both came out lovely and crispy. 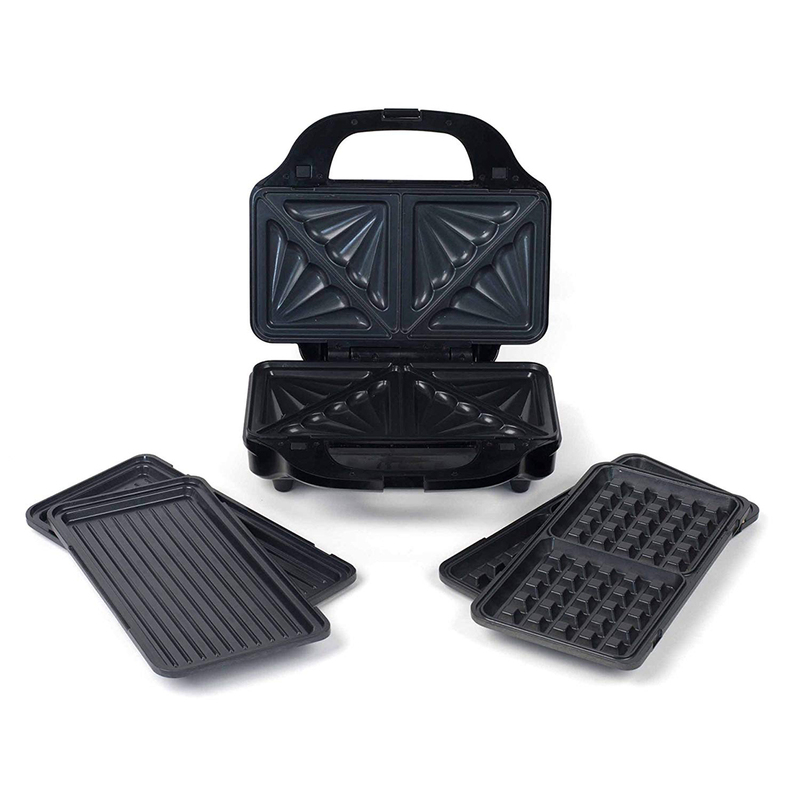 You can also use the panini plates to grill vegetables and meats. The plates are removable and washable, though it required a fair bit of elbow grease to remove the cheese. It comes with some great recipe suggestions too – we tried the pesto, mozzarella and sun-dried tomato toastie, which was delicious. It has cool-touch handles too – great if there are little hands around. The first thing that strikes you about this tool is how lightweight it is. It comprises three parts: the stick (with a non-stick handle), a plastic blade and the ‘perforated foot’ (or masher to you and me). The second is how quick it is. You simply fix the relevant attachment and put it directly in your cooking pan, pot or bowl. Then hold down the ‘on’ button – and you’ll have creamy mashed potato in about 20-30 seconds (depending on the type of potatoes). There’s no need to apply any force or pressure, it is practically effortless to use. When done, you just rinse the head under the tap, or the detachable elements are dishwasher-safe. It can also be used to whisk, beat, blend and purée – perfect for baby food, soups, sauces, eggs or batters. 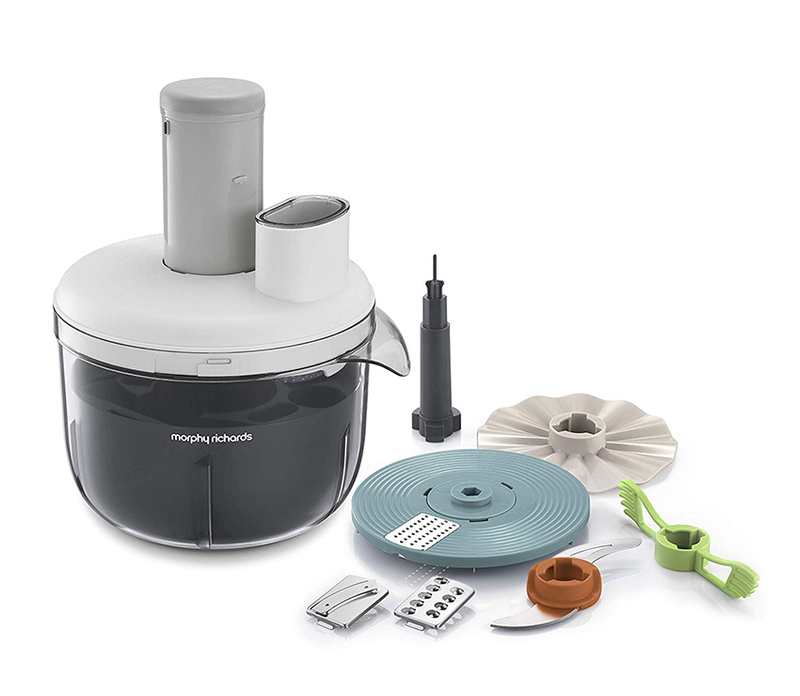 Light and compact, this food processor is half the size of its competitors but with a decent capacity. We liked how the four-litre mixing bowl doubles up as a storage caddy with compartments for six attachments to stop them getting lost in your cupboards. 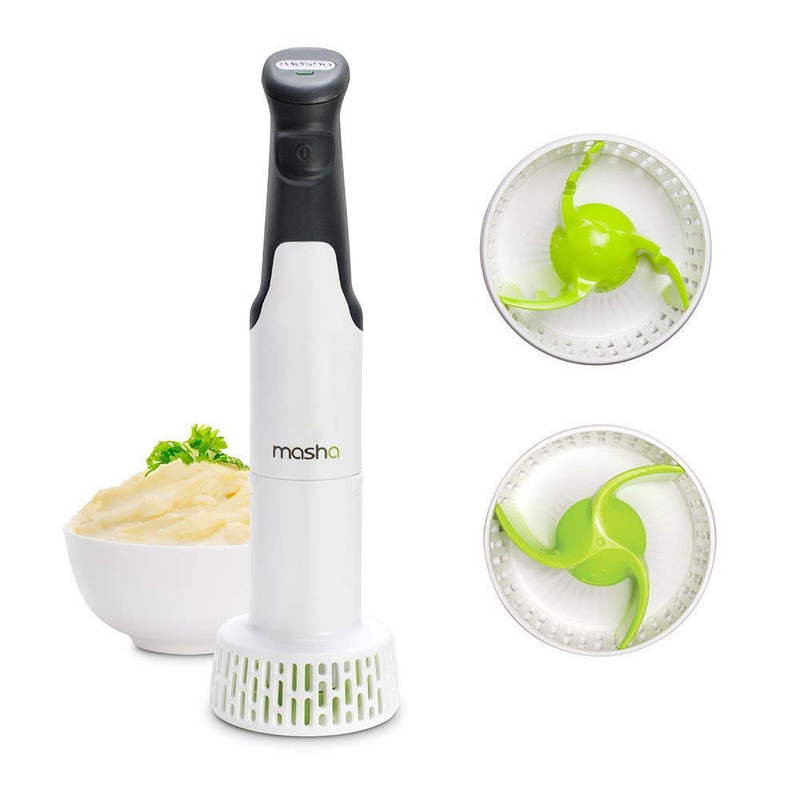 There’s a chopping blade to create pestos and salsas as well to crush ice and blitz nuts; a choice of three graters to slice or dice onions and veg, though we found it struggled a little with cheese; a beater that is excellent to deal with cakes, dough and buttercream; and finally the whisk attachment. There are six speed settings and you do need to read the little booklet first as it advises you which speed to select and how long to use it for depending on what you’re doing so you don’t end up with a paste when you wanted more texture! We found we used the pulse option the most for this reason! 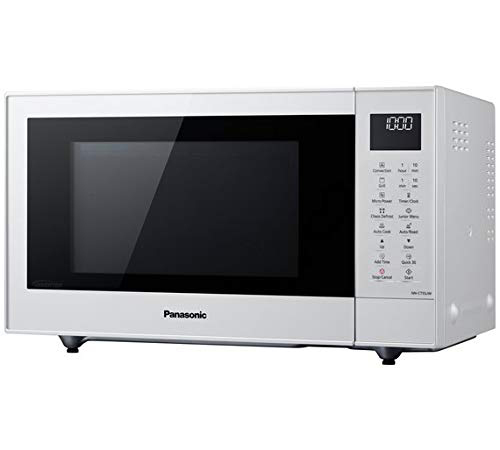 This uses microwave inverter technology to cook evenly and with gentle precision. Flexible cooking options include grilling – which worked a treat but wear oven gloves,as plates and sides of the oven will be hot, not just the food – and convection, which can cope with a roast and cooking pizzas from frozen. You can also used each option in combination. The instruction manual could be clearer, but the auto programme covers the basics. It is pretty easy to clean.